Rick Drost writes and sings songs with depth and heart, songs that repay repeated listening and convey a long love of classical music, natural wonders, poetry. His songs treat life from a varied angles – Jilted lovers, swans in the Public Garden, leftover lobsters, and meditations on meditation. 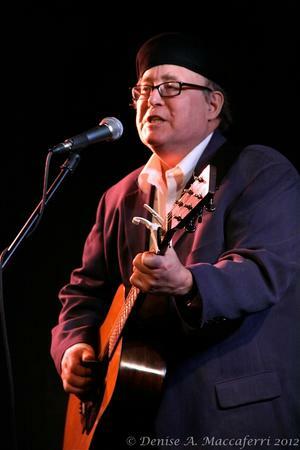 Longtime inspiration came from Joni Mitchell and Leonard Cohen; recent influences include Vance Gilbert and David Wilcox, who covers Drost’s song “Turning the World” in live performances. Drost’s latest CD “Turning the World”, produced by Jon Shain (Durham, NC), charted on the Folk DJ list in its first month, and continues to get airplay from Europe across America to New Zealand. Originally from Western New York, Rick travels from Cambridge, MA to sing at coffeehouses, house concerts, small festivals and Folk Alliance Events from New England, to Colorado to the Southeast.